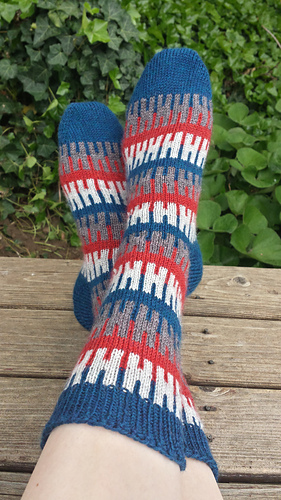 Add some color to your sock drawer with the Hallux Socks! 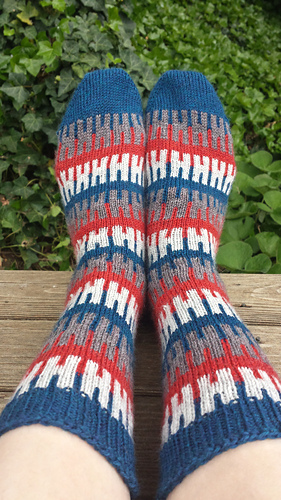 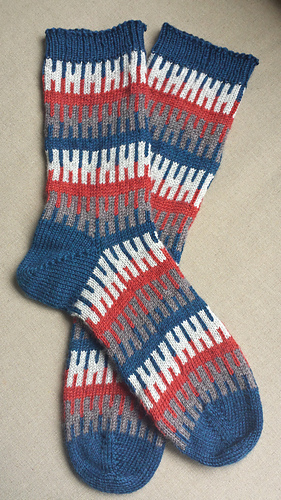 Don’t force yourself to settle on just one color; use up to 17 different colors when knitting the Hallux Socks. The sample has been knit with 1 main color and 3 contrast colors but they would look great with many more colors!